My schedule was thrown off quite a bit today but I managed to push through. I had my “breakfast” shake at the normal time, then took my mom to a doctor’s appointment. Dropped her off then my sister and I went grocery shopping (our mom lives with us since I’m the primary caretaker). I did remember to grab my water bottle. Grocery shopping wasn’t as bad as I thought it was going to be. Walking out of one store I smelled barbequed meat and yes it smelled delicious but I didn’t have an urge to run over and stuff my face by any means. Once we got to Wal-Mart I ended up picking up a 4 pack of pre-made protein shakes so I could have one once we were done. I had one when we were all done and back in the car, I definitely felt better, just pushed back stuff an hour so it wasn’t unbearable. I thought for sure smelling Subway in there would be torture but it wasn’t. I was able to pick up some Diet V8 Splash, various broth, sugar free jello, and sugar free popsicles so at least that will break up the protein shakes and water! Hard to believe that it’s already going to be 2015, I feel like this year has flown by and while it has definitely had it’s ups and downs I’m grateful for so much.Here’s to a new year and a new me!! I made it through day 1 pretty unscathed, I did have a moment while my mom and sister were getting ready to eat their dinner that an Old El Paso commercial came on the tv and I got mad. Like mad mad. So I shut the tv off in a huff. I was fine though sitting with them while they ate. However today might be a different story. I’m battling a headache today, honestly I think it’s from the lack of food so I’m sort of just waiting it out. I’ve only got in about 20 ounces of water so far, yesterday I had probably around 50 ounces, so perhaps that will help. I did realize how many commercials are food related, sheesh! But overall it’s not as bad as what I anticipated (so far). I also realized I cannot add Stevia to my protein shakes, it upsets my stomach too much which leaves me running for the bathroom. I stopped adding it and I’ve been fine. I joined a couple of RNY support groups on FB, there ended up being a few ladies on there in the Greater Toledo area also having the surgery in January with the same surgeons office and in the same hospital so I created a FB group so us to just support one another. But at least this way we don’t bog down the other groups with our “local” chatter. 🙂 It’s nice to have people in the area going through the same things you are. Hang in there friends, we’ve got this! So I prepped as much as possible for the start of my liquid diet. and decided to avoid the kitchen as much as possible. My alarm went off promptly at 7:01am (I’ve never been able to get up on even numbers – I know, it’s strange). Let me tell you that I did not want to get out of bed. I didn’t sleep well, the dog hogged the bed (he’s a great dane/mastiff mix), I was already feeling mildly annoyed. But I dragged myself out of bed, took my vitamins by 7:15 and pretty much have been following the schedule so far. It’s currently a little after 11am and I’m hungry. Not like oh my gosh I’ll pass out if I don’t chew something but just kinda hungry. I keep plugging away at drinking more water – so far I’ve gotten 20 ounces in. 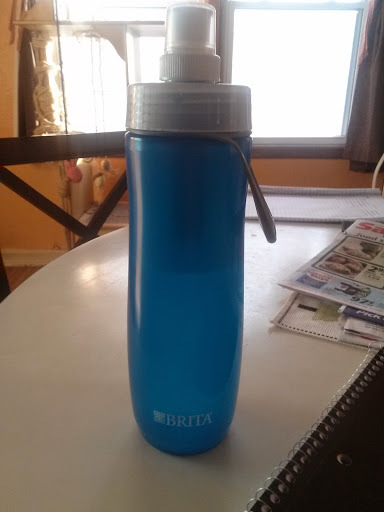 My mom and sister got me a self filtering water bottle for Christmas. I am loving it! It makes drinking water a breeze, also it has a sports style top which makes practicing sipping water perfect! This morning I weighed-in. I’ll do this every Monday. I also printed a weight tracker that I found on Pintrest so I can just log it easily. Also took measurements this morning, I created a simple Word document and printed out 12 copies since I’ll only be doing measurements once a month. Snapped a couple of photos which I labeled with the date and my current weight. No makeup/hair not done. What am I thinking?! So there we have it. 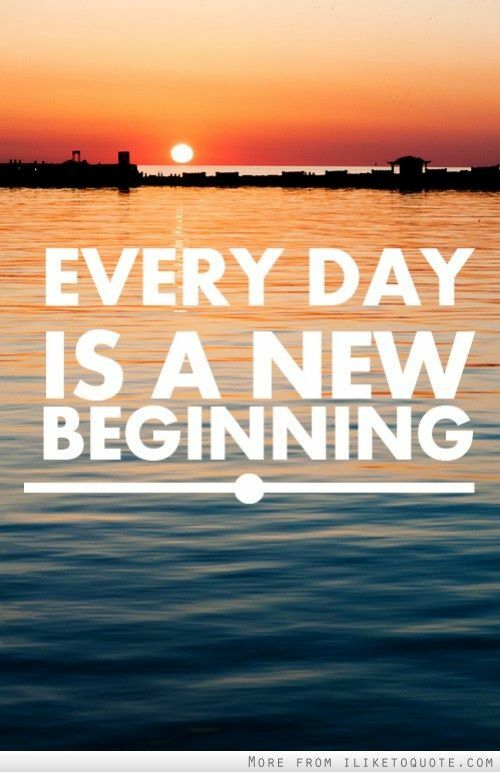 It’s day one, it’s a new day, a new start…. Everyday is a new beginning. Tomorrow is my new beginning. My new life, a new way of looking at myself, my body, food…everything. Tomorrow I start my liquid diet leading up to gastric bypass surgery. My surgery is scheduled for January 12 – heck of a way to kick off 2015 huh?! I’m excited. I’ve been reading blogs, watching Youtube videos, just really informing myself as much as possible. Oddly enough (or perhaps not) I’m not scared or nervous just really excited to start this new journey and new chapter of my life. 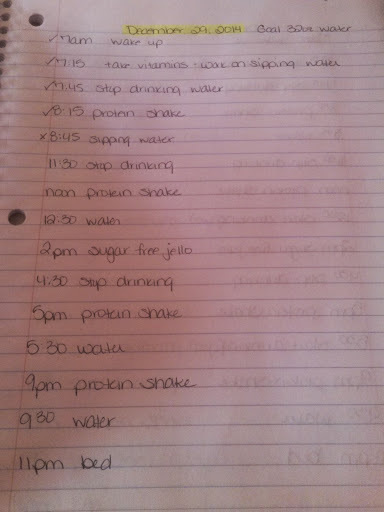 So yes tomorrow I start 4 protein shakes a day. I can also have broth/bouillon, sugar free jello, sugar free popsicles, diet V8 Splash, Crystal Light, sugar free Kool-Aid, diluted by half clear fruit juices. My kitchen counter consists of 4 containers of protein powder, PB2, and my blender. It looks like a body-builder’s paradise haha. I will try to keep everyone posted on my progress during the pre-op diet, including emotions, highs/lows, struggles, etc. I hope this insight will allow others a view into everything leading up to surgery – at least what I’m dealing with. Nothing seems to say Merry Christmas like having a belly full of barium. I survived my pre-admissions testing so let me break it down for you…. I had to stop eating by 6pm last night, then could only have water from 6pm-midnight. I went to bed fairly early since my alarm was set for 6:15am. So I got up this morning, brushed my teeth, washed my face, got dressed and left for the hospital around 6:30am. I got to the appropriate area (advanced admissions) about 6:50, was registered and called back shortly there after. Now keep in mind I haven’t gone to the bathroom since around 2am and I was feeling it! The nurse called me back, where we went over a ton of questions, and she also took my vitals. While we were going over more questions someone from the lab came in and took 6 vials of blood. Then someone else came in and did an EKG. Then finally I got to use the restroom (they needed a urine sample)! After that I was able to get dressed then the nurse walked me to the radiology department. It wasn’t long before I was taken back for the gallbladder ultrasound. Once that was done I had to change into a gown and was taken for a chest x-ray. It wasn’t long before I was whisked away again to have an upper GI done. The nurse went through everything, showed me what exactly I’d be taking and how it would all work. Once the radiologist came in I took a medicine cup of crystals followed by water which foamed like crazy and I had to swallow (and not burp). I got up on a machine where I had to then drink the barium when the doctor said. Oh my. It was thick and chalky, it wasn’t bad until I had to inhale through my nose (darned breathing lol), and the smell was less than desirable. But I got that done, then the table gets laid down (weird feeling) and I had to roll in a complete circle. The doctor took some more pictures, said I had a mild case of reflux but didn’t see any other issues and he said I didn’t have to drink the “thin” cup of barium. Woohoo! Then I was able to get dressed and finally eat/drink! I went right from the hospital over to the physical therapy office. He was booked solid until my evaluation so now I’m home just killing time before heading back over there. It’s crazy that 3 weeks from today I’m having weight loss surgery. I’m not really nervous just excited. 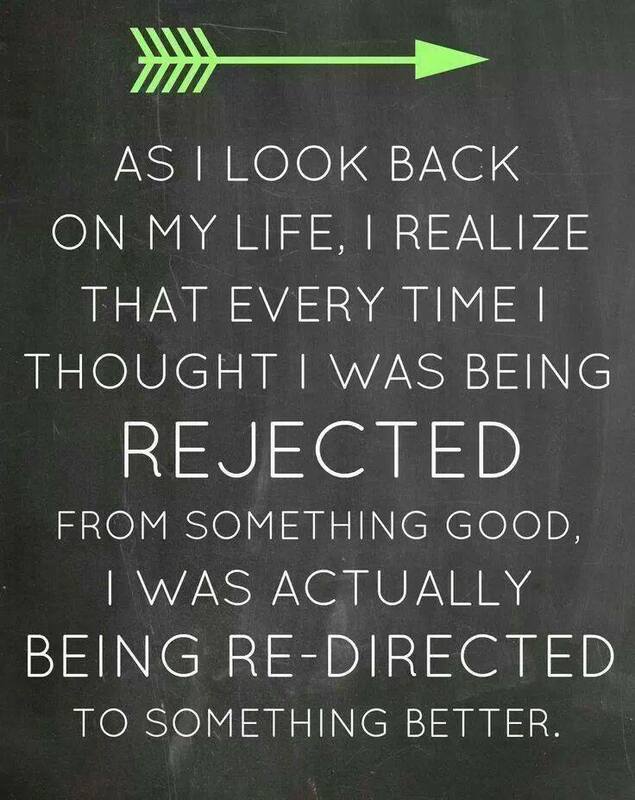 I’ve got an amazing support team and I’m really looking forward to this new chapter of my life. It’s interesting to read (I’ve been checking out other blogs) on how/when/why people decide to tell others that they are having (or have had) weight loss surgery. I know I’m really only at the start of my journey in regards to it but there are a few people I’ve told: my direct report, some of the other interns, the two other ladies that I work with weekly for the conference. This past Tuesday at our internship class we went around discussing highlights (so far), and what we needed prayers for, so I asked for prayers for the surgery I’m having in January. But no one asked what it was or anything like that. I figure I’ll slowly be telling more people. I’m not ashamed or embarrassed by having weight loss surgery. But it’s been interesting on the way I’ve slowly started to tell people. At first (especially telling the other interns), I was like oh gosh they’re going to judge me like congrats (yeah fatty you NEED it) but they’ve all been super supportive. I figure perhaps after Christmas I’ll really start telling more people, I’ve even considered writing a blanket status on Facebook about having the surgery. It’s coming up soon. The 22nd is my pre-op labs/testing: pre-admission testing 7am, gallbladder ultrasound 9am, Upper GI 10am, physical therapy 11:45am. I’m glad it’s all in one day but I have to stop eating at 6pm on the 21st, only water from 6pm to midnight, then nothing until after the upper gi on my way to physical therapy. Obviously I’ll survive but phew it’ll be a long day! I think it’s really going to hit me once I’m on the liquid only diet. It’s like the shock that my insurance approved it has wore off (kind of) but it’s still surreal that I’m going to be having gastric bypass surgery. I’m excited just doesn’t seem like it’s happening (yet). 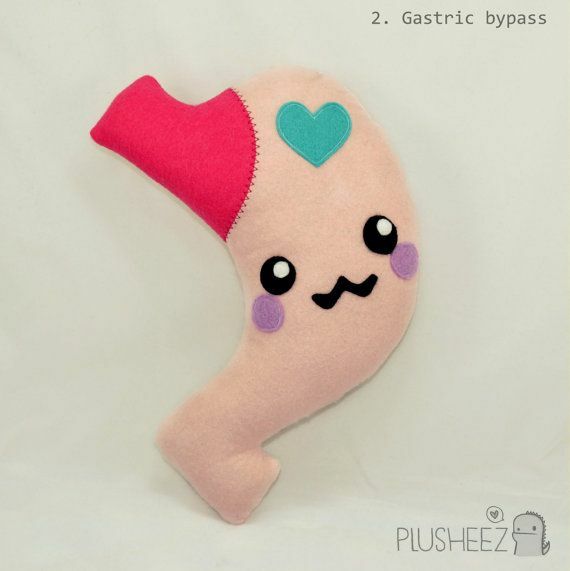 I’m thinking I might order one of these cute little plushies. They’re so cute and some of them you can get customized with your name and surgery date on the back. It’s a busy week ahead so I better be off to enjoy the weekend while I have it.